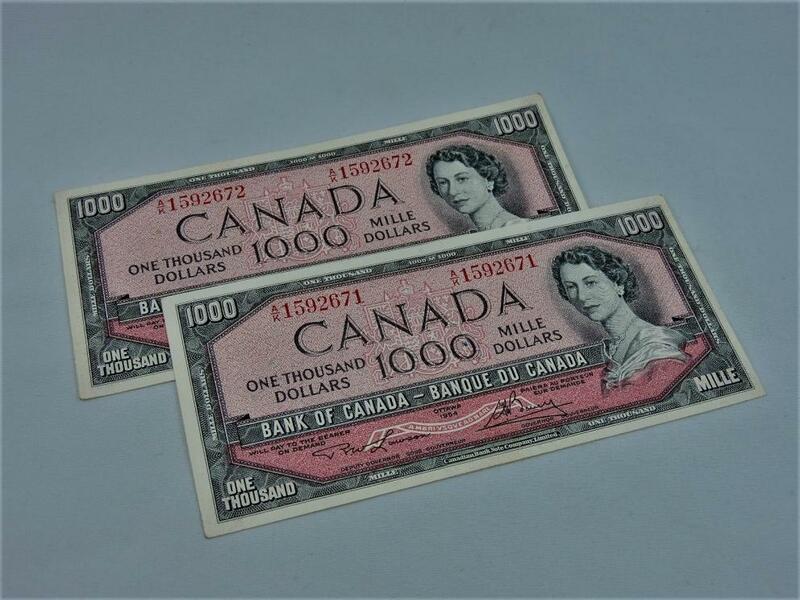 Two Very Special $1000 Canadian Bank Notes in Sequence. 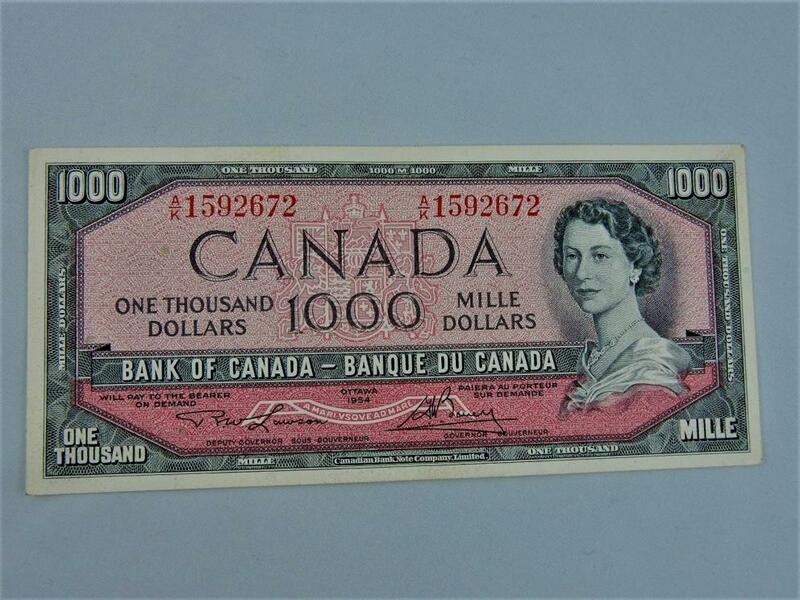 Two Mint Uncirculated $1000.00 Banknotes in Sequence. 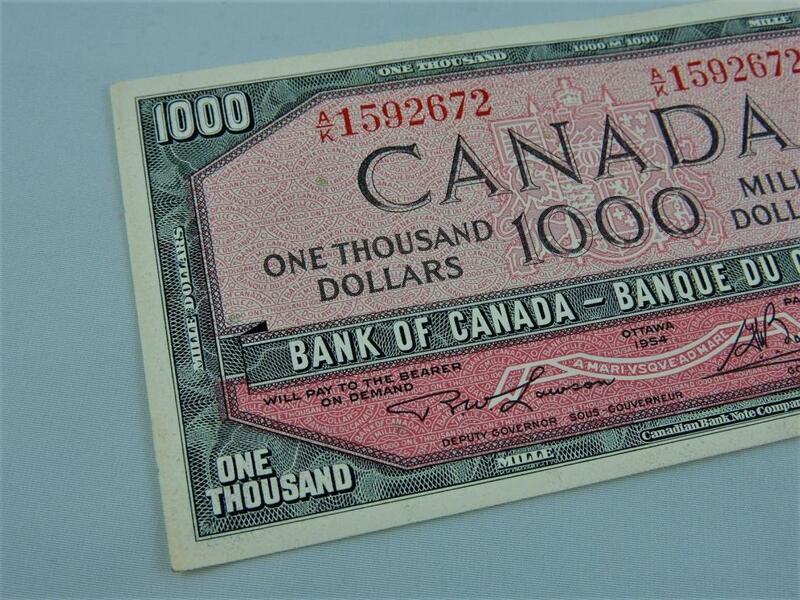 These notes are in outstanding condition! 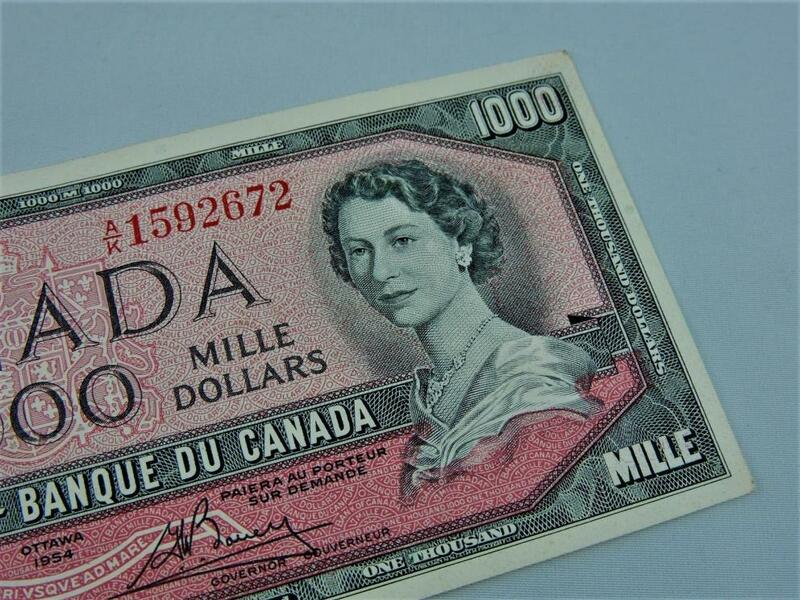 One exception is a small ink mark on the face on one note. 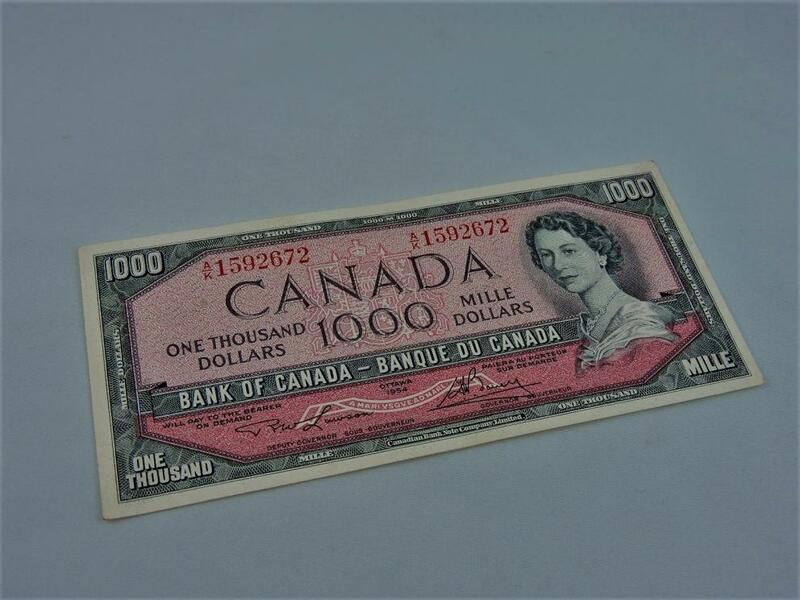 These Uncirculated Banknotes insequence have been appraised, due to quality, upward between $3500.00 - $4000.00 Canadian Dollars for the package of two. Buyer Premium of 15% will be added to the winning bid or buy now price in addition to credit card charge, insurance, shipping handling costs and any other costs that may prevail.